August 2018 News Blast, I’ve Got a New Book: Slated for a fall 2019 release from Ecco/HarperCollins, the book is a primer on the power of unions to fix the biggest political problems we face today, from the enormous growth of income inequality, to the foundering of the Democratic party, to pay inequality, sexual harassment, and racism in the workplace. 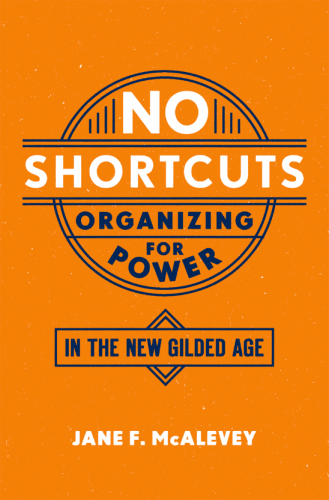 In the spring 2018 new edition of No Shortcuts, a softcover, I outline how Trump won, and, how to defeat the forces that put Trump into power. Quoting from the new preface, “Donald J. Trump attained power by decrying the elite, and turning the working class not against bosses and bankers but against one another. The Nation Magazine calls Raising Expectations the Most Valuable Book of 2012! 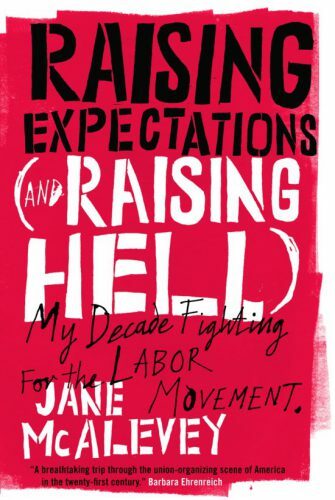 Most Valuable Book: Raising Expectations (and Raising Hell): My Decade Fighting for the Labor Movement A veteran labor organizer whose tactics have earned her admiration and condemnation McAlevey pulls no punches. She says of the current moment: The only crisis, the only fiscal cliff in this country that anybody, especially the labor movement, should be talking about is the fiscal cliff that Wall Street forced every American worker to walk off in 2008.